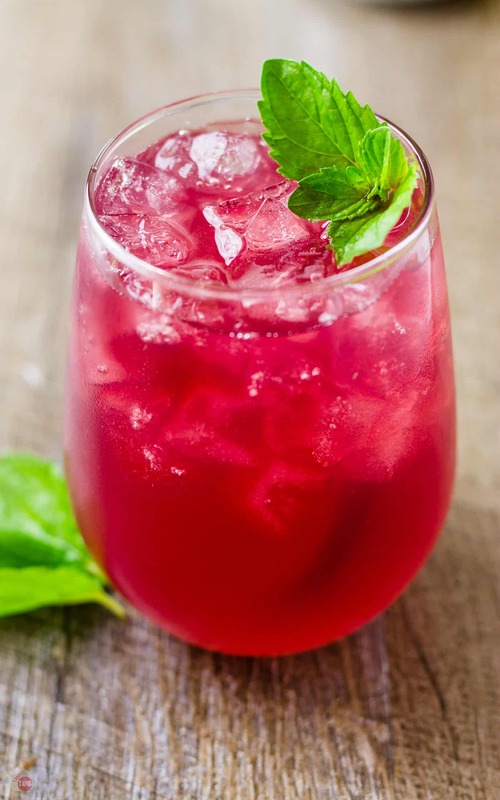 This kooky cocktail called Wimade is a gorgeous mixture of homemade honey limeade and fruity red wine! Buckle up, it’s amazing! Wimade. No this is not Elmer Fudd writing this post, I just needed to come up with a name for this kooky cocktail of homemade honey limeade and wine. 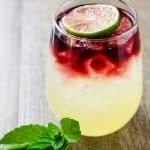 Wine Limeade, Wine-topped Limeade, Limeade with wine are all too wordy plus I wanted to emphasize that the base of Wimeade is a homemade honey limeade made without refined sugar. The summer of 2017 should be declared the summer of limeade in the Stewart house. I must have consumed a few dozen cases of Limeade and Lemonade over the course of 3 months be it over ice or mixed in a few of my 3-Ingredient Cocktails. The Wimade (yes, I chuckle every time I say it) came about during a photo shoot for the most popular cocktail on the blog, my Penitent Punch. My Penitent Punch is NOT a 3 ingredient cocktail but it is the gorgeous layered look that gets people’s attention. Oh, and it tastes great too! When I shot the pictures for the cocktail I didn’t want to use all 5 of those spirits again and waste them as it diluted from melted ice under the camera so I substituted Limeade for the base of the cocktail and topped that with wine. The limeade mimicked the color of the original cocktail base so I went with it. Still not wanting to waste the limeade and wine (really just the wine) after the shoot I just stirred it up and drank it. Boy, am I glad I did because it was delicious. Instead of always buying premade Limeade at the rate I’m consuming it, I decided to make my own. 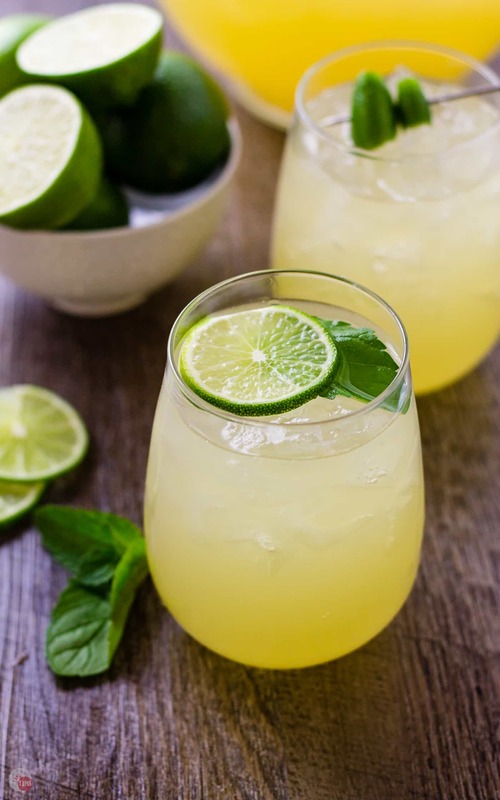 I love the Simply Limeade but it is made with sugar and too much of it tends to give me a headache the next day so I want to try and eliminate the after effects by substituting the white sugar with honey. The honey is a hit and I am headache-less when I make my limeade with it. Yes, using honey is a little more expensive but not having a headache is totally worth it! Honey is a little thick and sticky so to help make the limeade easier try these two tips: 1. spray your measuring cup with cooking oil (I use coconut oil) before adding the honey. It will slide right out of the measuring cup! 2. I add the honey to the pitcher and add a cup of very hot water to it. Whisk until it starts to thin out and then add the juices and stir again. Then add the rest of the water. That single cup of hot water doesn’t make the limeade hot in the end because the rest of the water added is cold or cool. I also recommend chilling the limeade before drinking it. The limeade will have a golden glow to it from the honey so don’t worry if your limeade isn’t bright neon green. You can also add sparkling water to your limeade instead of still or tap water to add some fun to it. If you are going to add sparkling water I would suggest doing so right before you serve it. Maybe store your sparkling water in the fridge to get it cold too. Now, you can drink the limeade just as is or have some fun and add some other beverages to it, like WINE! The next step is to get the honey limeade ready to receive the wine. 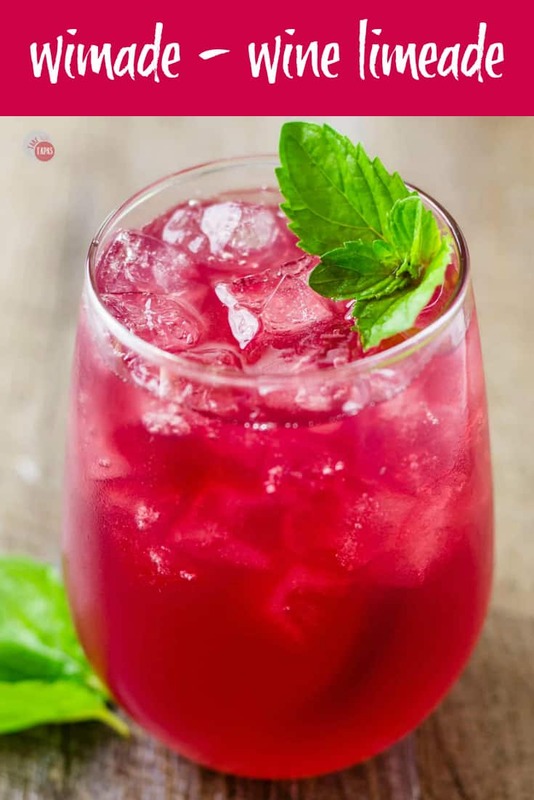 If you don’t want to use wine, or if you are making “mocktail” versions, you can simply switch out the red wine for pomegranate juice. I also like cherry juice or grape juice with the limeade. Any of these add a gorgeous color and you can get that amazing layered look. 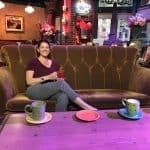 The easiest way to get the layered look without going into the science of liquid density and sugar concentration is to use this hack I have discovered while doing the photo shoots for my cocktails. I love garnishing my cocktails with citrus slices so I add a slice to the top of the drink and use that to diffuse the wine slowly so it sits on top of the base layer. My lime slice ended up with a slight pink color to it which doesn’t bother me but if it bothers you, you can always add a second citrus slice or gently remove it and add a fresh one. Don’t forget to play around with your garnishes too! I love a few pieces of lime peel skewered and hanging out on the top of the glass. 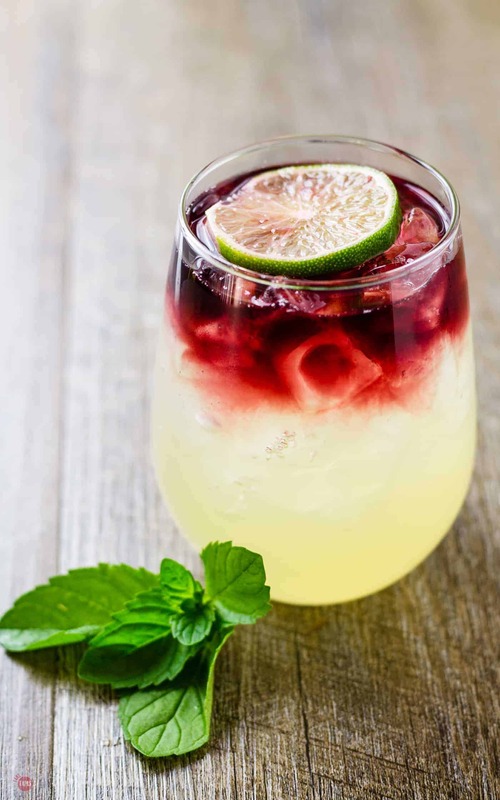 The oils from the lime peels enhance the flavor of the limes themselves and mix with the fruity taste of the red wine. I prefer to use sangria for this purpose. There are 4 versions of this crazy Wimade cocktail! You can serve as written with limeade and wine. You can add half the limeade and add in some sparkling water. Top with wine. 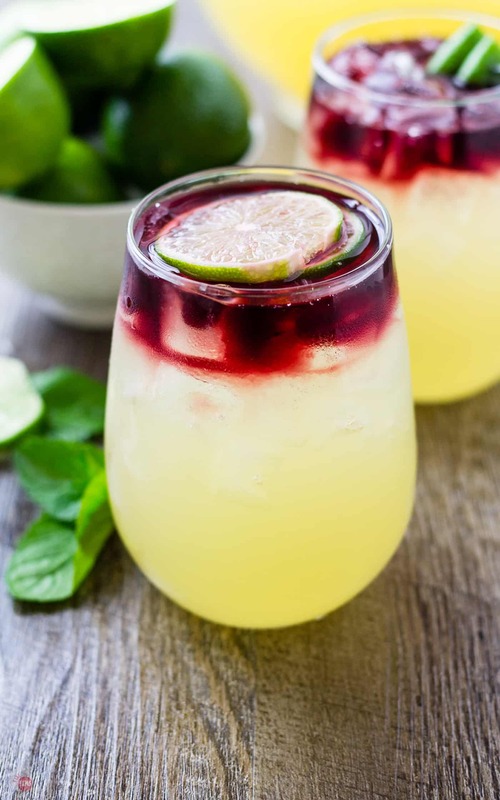 For a non-alcoholic version, you can serve the honey limeade with pomegranate juice on top instead of wine. For another non-alcoholic version, you can add half the limeade and add sparkling water. Top with pomegranate juice. If you don’t like pomegranate juice, substitute grape or cherry juice. If you are making Wimade or any of the versions listed I would love to see them! Tag me on social media with #TakeTwoTapas and #Wimade! 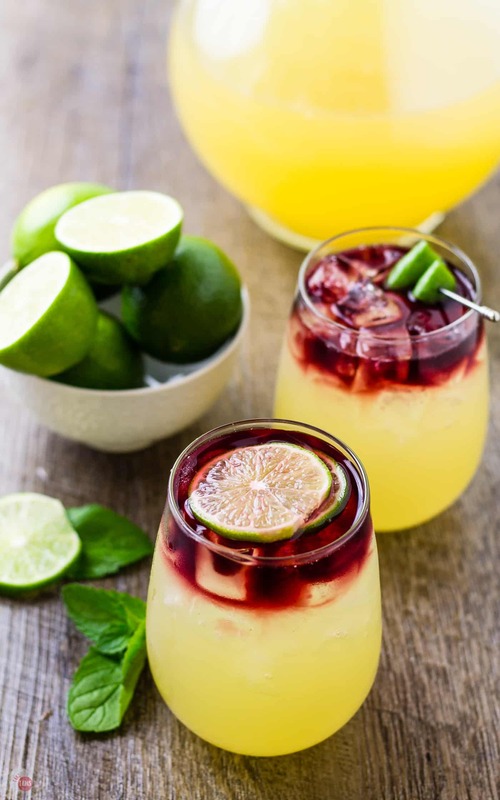 This strange cocktail called Wimade is a gorgeous mixture of homemade honey limeade and fruity red wine! Buckle up, it’s amazing! Once you have all the lime and lemon juice squeezed, pour them into a pitcher. Add the honey and whisk to combine. Add 1 cup hot water and whisk to combine. Once all the honey is dissolved, add the remaining water. Chill in the refrigerator until ready to drink. The honey limeade will last for up to a week. Grab a few glasses and add some ice cubes. 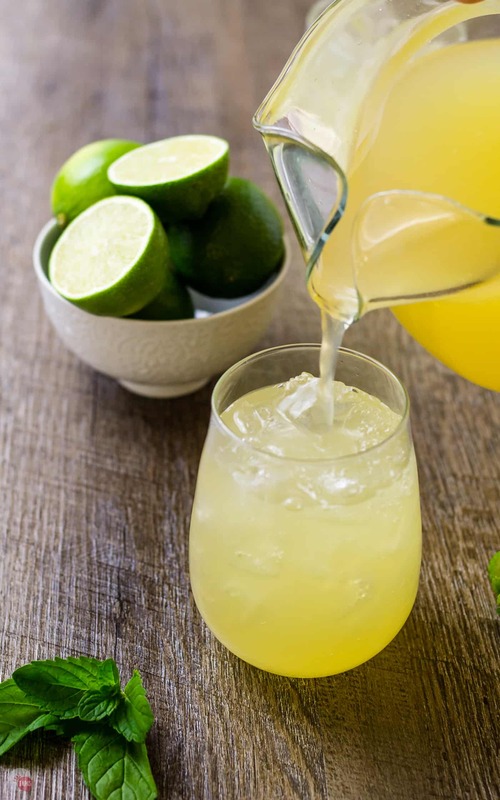 Pour in your honey limeade. Add your lime slices to the top of the ice. Pour the red wine slowly over the lime slice to layer the wine on top. Don’t worry if your layering doesn’t quite work out, look how gorgeous the Wimade looks all stirred up! Definitely, a unique drink, I love it! The color and probably the taste is perfect for this coming holiday. Will try to practice this recipe on the weekend. Anyways, thank you for sharing this!